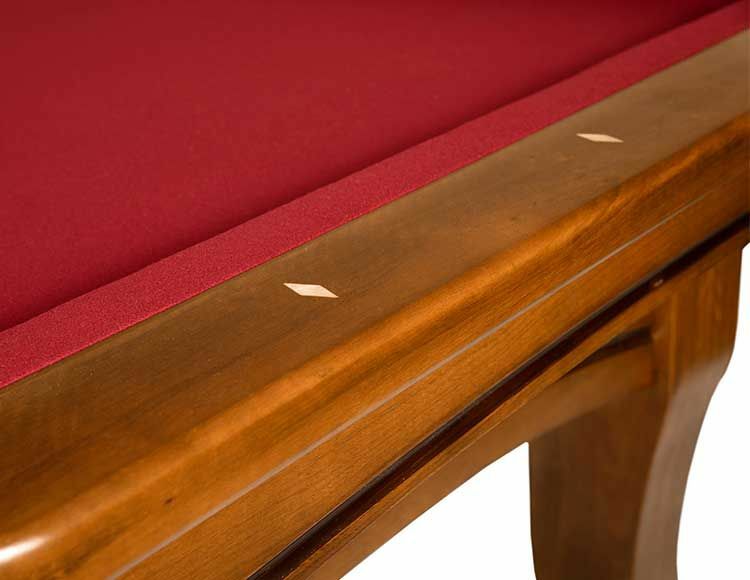 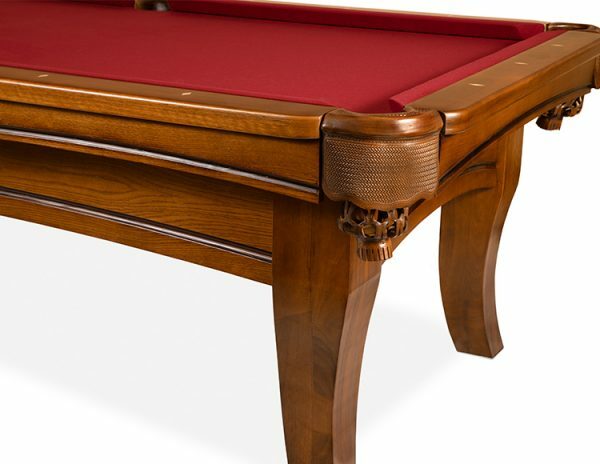 The Carter transitional pool table has solid wood leg posts and an arched cabinet. With extra thick rails and easy, sloping curves, the Carter transitional table will look elegant in homes with contemporary or traditional designs. 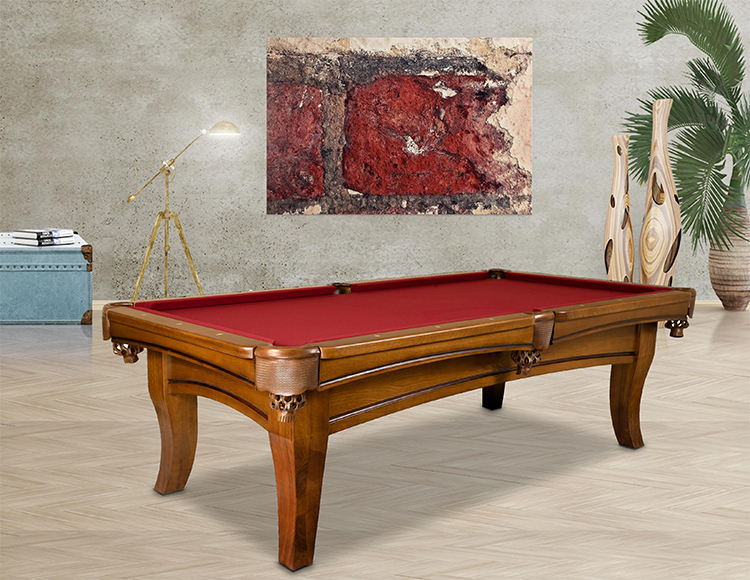 This solid wood pool table is made from African hardwoods with rails that are extremely dent and scratch resistant.